BASSETERRE, St.Kitts — With 25 titles in 42 years of the TDC Inter-School Championship the Charles E Mill Secondary School (CEMSS) formerly the Sandy Point High School is one of the Federation’s top sporting dynasties and one that does not look like ending any time soon. Year after year in March proud school alum and fans don their red and black and head to the Kim Collins Athletic Stadium to cheer on the young athletes as they represent the CEMSS Eagles and bring home success year after year. 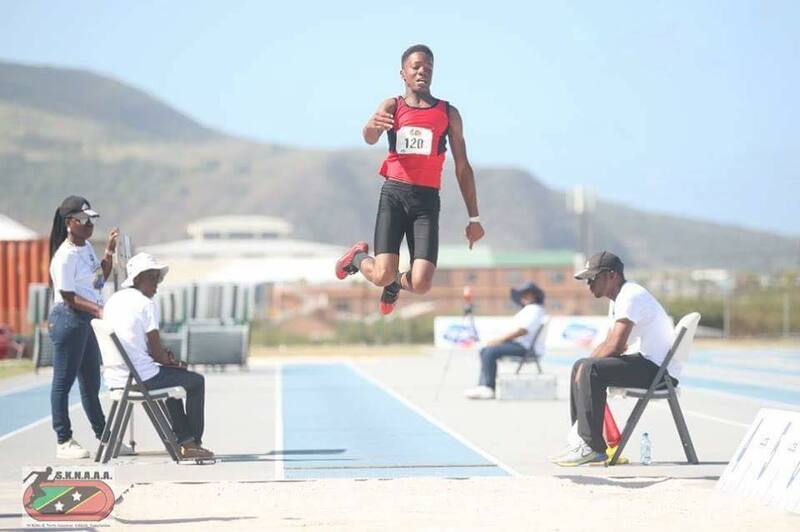 The athletes not only dominate on the track but also dominates in field events and play a big role in national junior track and field teams for regional and international events. In an interview with The Observer, Head Coach of the CEMSS Eagles Llewelyn Pyke. who had been at the school since 2003, said that reasons for the success is down to the given talent of the athletes, hard work as well as working with good coaches. “Most of the athletes who attend the school, they are a part of two clubs from the Sandy Point area, Etonics Track Club and Outer Limits Track Club. There are about six to seven coaches between those two clubs who work with them presently,” Pyke said. Pyke, who is a level two track and field coach, noted that the support structure that is in place for the athletes also plays a critical role in their successes. Pyke said many of the student athletes were also aware of the school’s heritage and success in sports. Pyke said they were able to bring back former athletes and some fans who would have spoken to the athletes and have resulted in a change in atmosphere in training sessions. Pyke is a 20-year-veteran of the sport and credited the feeder primary schools for CEMSS. He said the feeder schools are where athletes are first identifies and developed, helping their success later on. CEMSS have already tasted success in 2019 winning and dominating the Giant Malt Relay Championships, something Pyke said motivated them further. He was also bullish that the team can once again emerge successful at this year’s TDC Inter-School Championships. CEMSS sports day will be staged on February 22 at the Sandy Point Recreation Ground where the public will get a glimpse of the athletes before the TDC Inter School Championships on March 29 to 31. Pyke also commented on the the pre-sports and heats that are currently taking place.